2. There's a bunch of fabric that I needed to use up. Below is a picture o this green silk that I have. 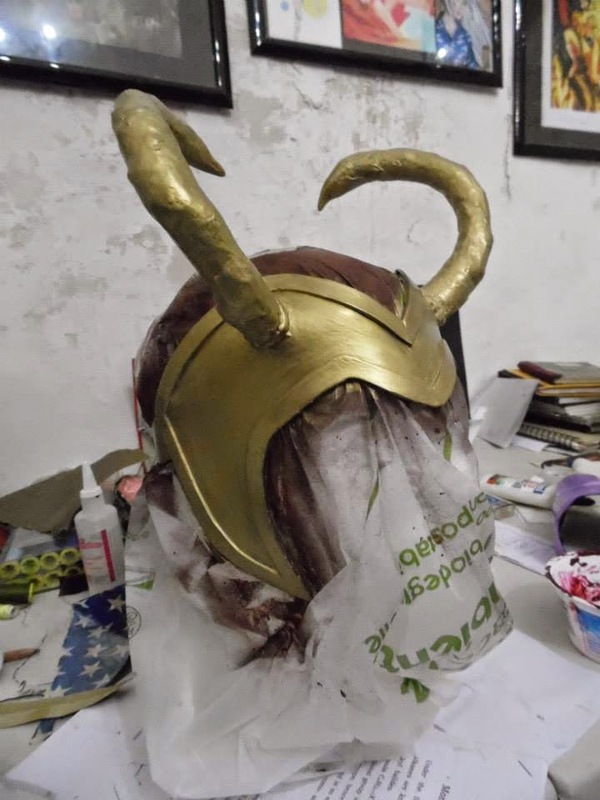 It's a bit stained, but I think that works for Lady Loki. I also had some whitish fur scraps and gold satin. 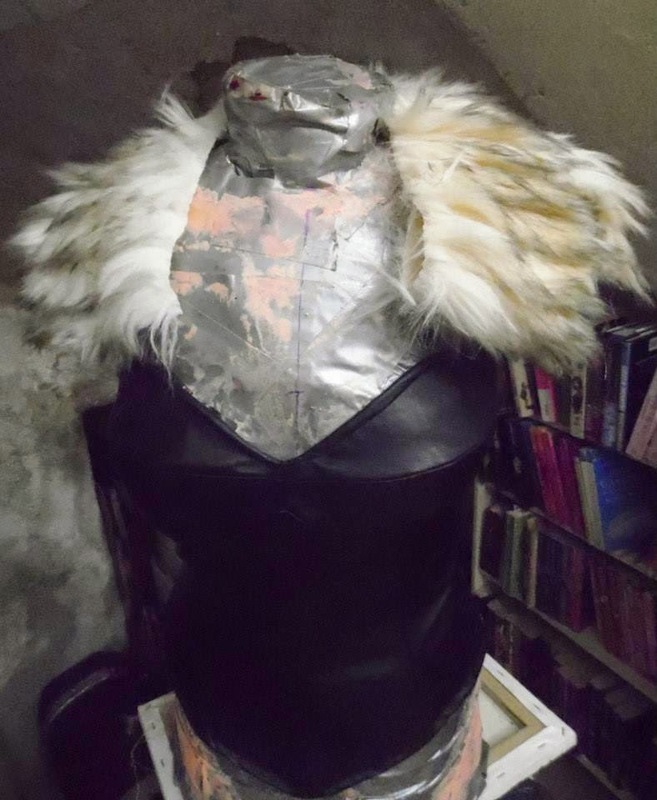 The first and simplest step was making the fur collar. i made a paper template and fiddled with it until it look right, then cut out the fur pieces and sewed them together. I made a mistake when cutting the fur by using a rotary cutter. It sliced through the hairs and now the back of the collar looks very choppy. I need to try evening it up. Next came the bustier. This is a Burda style pattern. 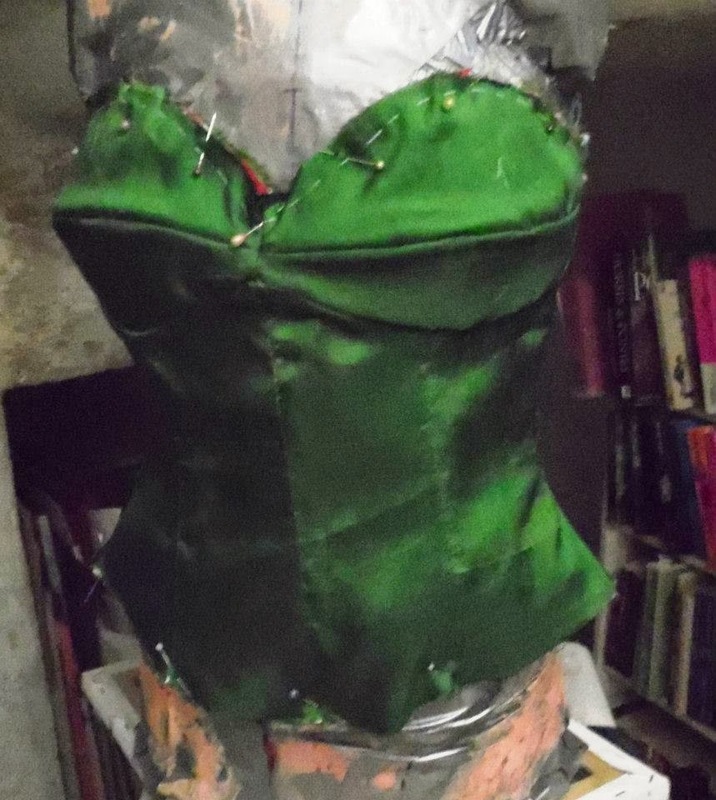 The lining is gabardine, and I used an old tablecloth to add structure to the bust. The bones are plastic. 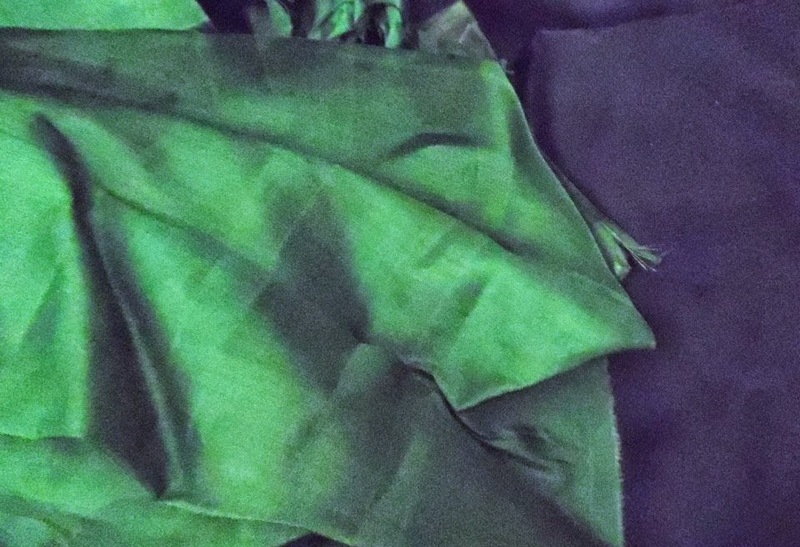 The outer layer is green silk. 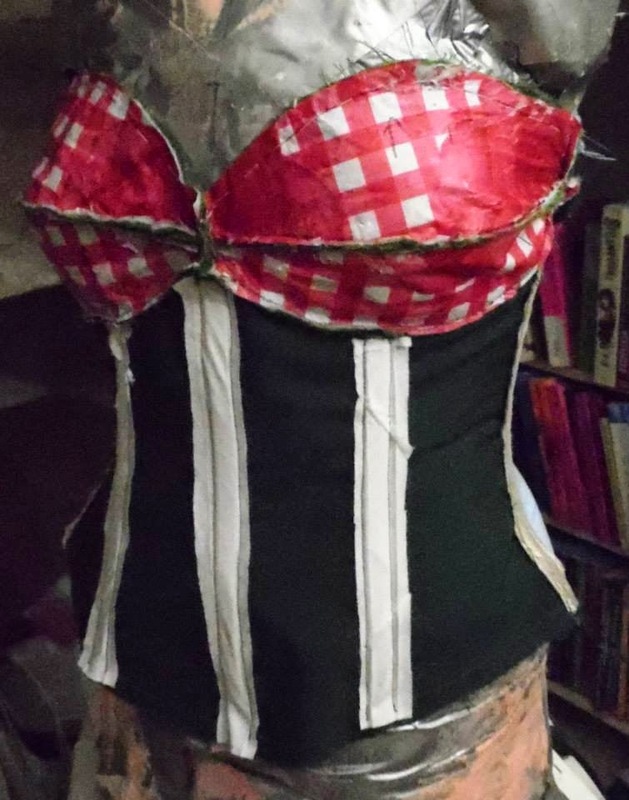 For extra glamour, i added gold bias tape and laced the bustier closed with gold eyelets and cord. 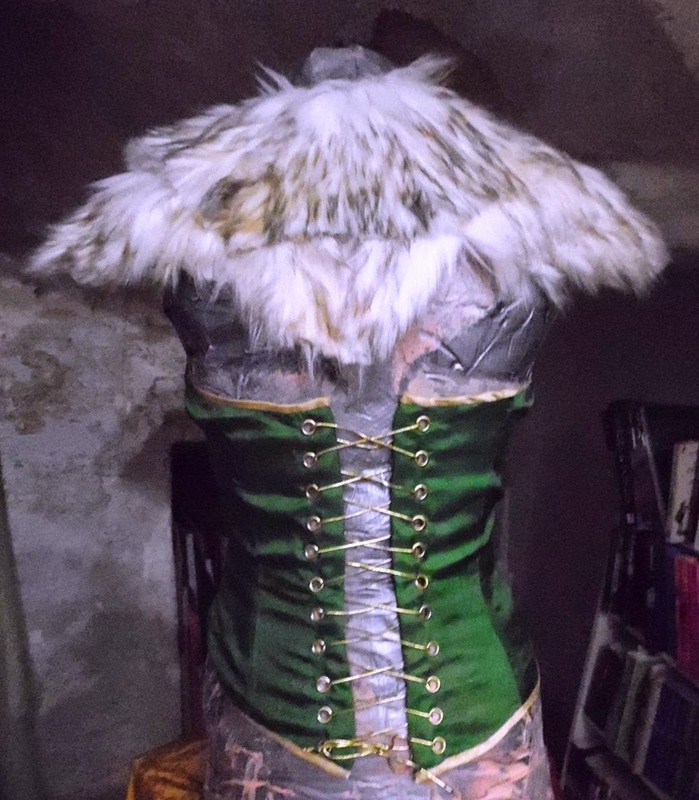 The fur collar is attached to the bustier with hooks and eyes. 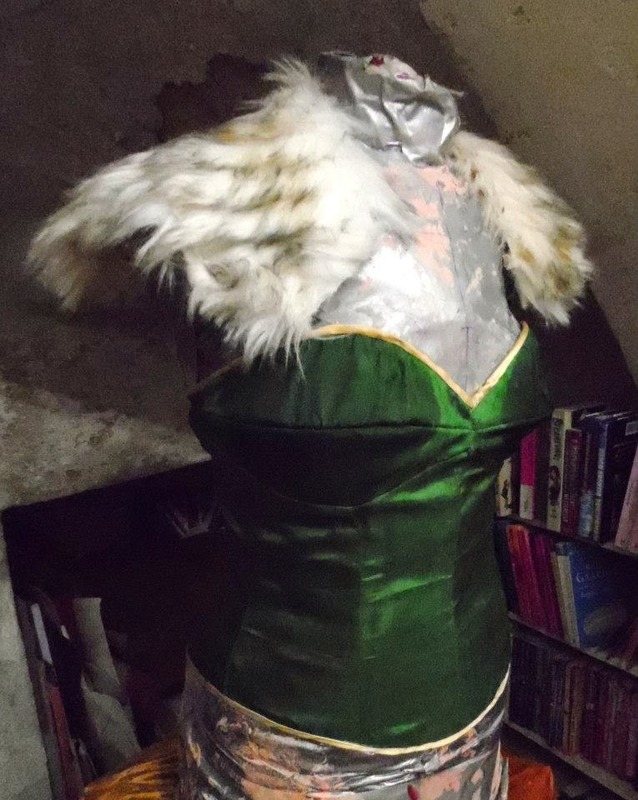 I forgot to take pictures, but there's also a loin cloth with this costume, also made of green silk and gold satin. I need to alter it so that it's adjustable. Finally, the armour. I kept it simple: just a helm and bracers. 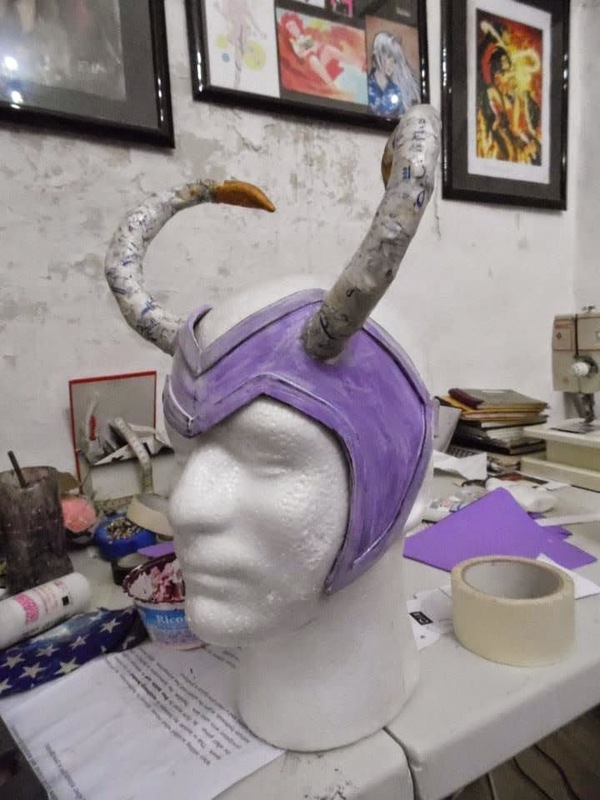 The helm is foam, wire, cloth, paper mache, and a bit of polymer clay on the horns. There's a wire structure in the craft foam to help it fit my face. There's also wire and foam in the horns. 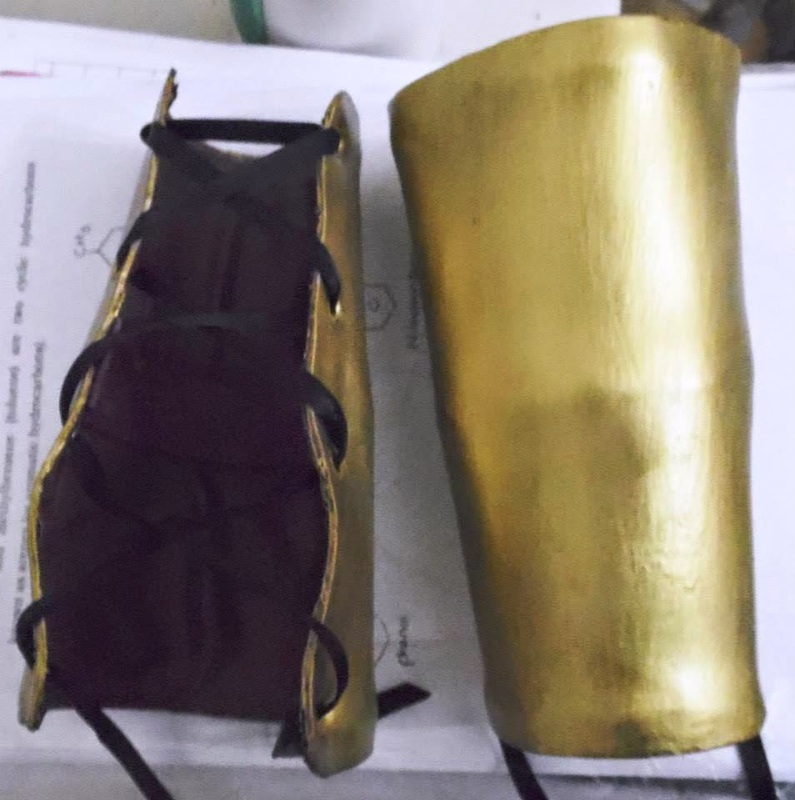 There's also wire in the bracers. I thought they would be able to hold their own shape, but I was worried that they would fall off. I added eyelets and ribbon to help hold them on. This costume was also meant to include a cape, but I got lazy.